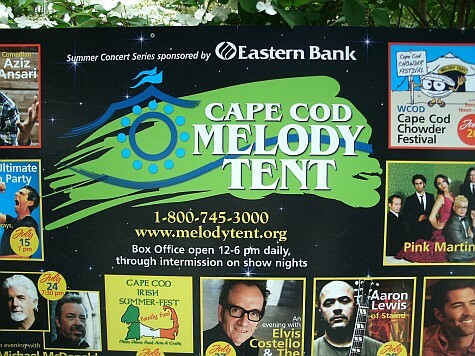 Every summer, the Cape Cod Melody Tent brings an amazing lineup of nationally known entertainers to its cozy little tented theater-in-the-round in Hyannis. Famous names like Darius Rucker, Adam Lambert, Sara Evans, The Beach Boys, Lyle Lovett, and Trace Adkins have been here in recent years, performing to sold-out crowds. 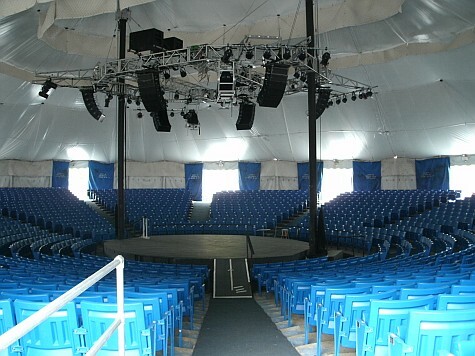 At your first glimpse inside the Melody Tent, you'll likely wonder how such a cozy little venue could draw so many big-name performers. The answer is simple: The performers love it! As country music superstar Sara Evans said during her show at the Melody Tent: "I feel like I'm singing for a group of friends." ... it really does feel like your favorite star is performing just for you! The gates open an hour or so before the show begins. That leaves plenty of time for a bite to eat and a cocktail or soda at the on-site concessions, before you take your seat. Personally, I think the food (sandwiches, pizza, hot dogs, etc.) is "so-so". The adult beverages ... better! There's no such thing as a "bad seat" anywhere in the tent. 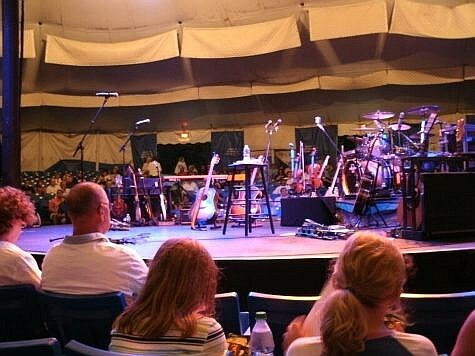 Even if you're in the farthest row, you'll still be only about 50 feet away from the stage. That said, tickets to see the hottest acts sell out quickly. So be sure to get yours early for the best seating choice. Ticket prices are all over the board, depending on which performance you'd like to attend. To see the mega-stars, expect to pay anywhere from $45-$95 or more per ticket. 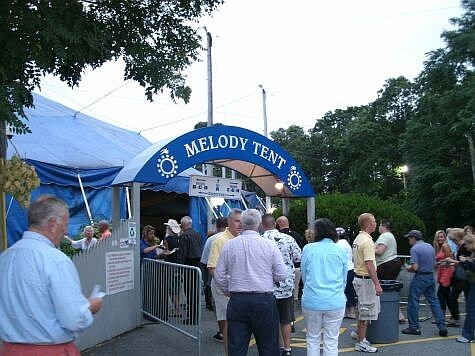 The Melody Tent is just off the rotary (traffic circle) in the West End of Hyannis. Plenty of free on-site parking is available. For the younger set, the Melody Tent also offers mid-morning performances by Kaleidoscope Children's Theater of Rhode Island. This talented troupe of young actors brings musical fairy tales to life - to the delight of kids of all ages! 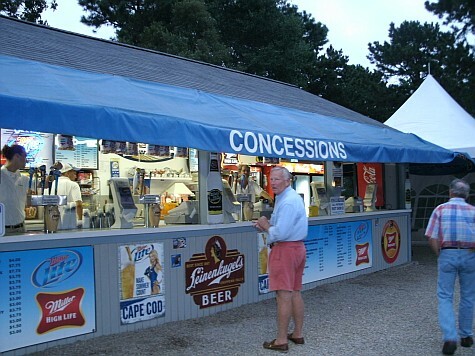 Popular annual events like the WCOD Cape Cod Chowder Fest (in June) and the Cape Cod Irish SummerFest (in July), call the Melody Tent home, as well.